OTTAWA, ON — (Nov. 9, 2017) — Raven, the all-in-one connected car solution for drivers and their families, is now available for pre-order. Raven is the first comprehensive automotive technology (vehicle-to-everything) solution that connects users with their cars, pairing an in-car device and mobile app to offer on-road assistance and alerts, round-the-clock remote monitoring and more. 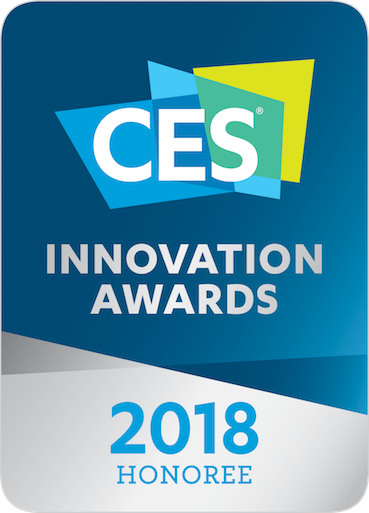 Raven is also proud to announce that these industry-leading features have earned the product the esteem of being named a 2018 CES Innovation Awards Honoree. Evaluated for its engineering, aesthetic and design qualities, intended use, user value, and unique features, Raven was judged and deemed an honoree by a preeminent panel of independent industrial designers, independent engineers and members of the trade media. Raven can be purchased at www.Raven.is for a discounted price of $269 for a limited time. Raven units are slated to begin shipping to early purchasers in February 2018. The window to your car from anywhere, the Raven device allows drivers to monitor road conditions, auto security and whereabouts of loved ones. A vital tool both on and off the road, Raven is the only comprehensive connected car solution on the market for consumers. More than a point solution, it integrates into a single product a number of technologies, including: 4G LTE-based, always-connected system; in-auto video cameras; telematics-capturing OBD; Wi-Fi and Bluetooth; GPS; displays; security system and motion sensors; and shareable video and media. Raven is available for purchase at www.raven.is. Klashwerks is an engineering design and technology company focused on the emerging connected car market. The company’s flagship product, Raven, is the first of many products to come in Klashwerks’ automotive consumer lineup based on the premise of safety and family first. Led by founder and CEO Russell Ure, Klashwerks was founded in 2016 and is headquartered in Ottawa, Canada. For more information, please visit www.klashwerks.com.